The 2008 BMW 535i E60 with twin-turbo 3.0-liter I6 engine and automatic transmission is equally fast as the 2006 BMW 550i E60 with a manual transmission. Both cars can do 0-100 km/h or ~0-60 mph in just 5.5 seconds. The only differences are that the 550i has a bigger engine and it consumes way more fuel, but the 535i is the same fast and consumes less fuel. This car’s engine can produce the power of up to 300 hp (220 kW) at 5800 rpm and torque of 300 lbs-ft (406.7 Nm) at 1400 rpm. Yet again, this car has almost less than 70 hp than the 550i has, but still the 535i is the same fast. Once again it proves that horse power and big engine isn’t everything. 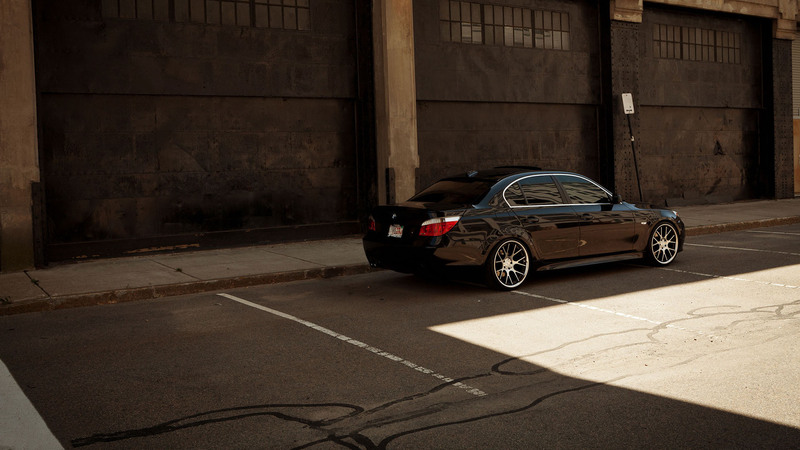 The 2008 BMW 535i with a black exterior, in the picture above, is on 20 inches Vossen VVS-CV2 Concave wheels. Featuring sizes 20×9 at the front and 20×10.5 at the rear — Matte Black Machined w/Stainless Lip. For many BMW fans, the E60 model is still the best looking model of all. I am BMW fan as well, but i can’t say that the E60 model is the best looking one, but from 5 series, i can say that it’s the best looking one. I prefer the E60 instead of the new F10, because i think that the E60 is still the better looking model. The original price (MSRP) for a base 2008 BMW 535i E60 model was set at around 49,400 USD ($). Price in 2013 starts from around 17,000 USD ($) in good overall condition of the car. This price is also for the base model without any M sports packages.